Melisa Romano from H-CAN the Havertown Environmental Action Committee spoke about the contents of the pipeline from its origin to its ultimate destination (from fracking to plastic). Testimonials were given from person whose lives are directly being impatced by the pipeline. And photographer Chris Baker Evans shared some of his works and his book "Lives on the Line," which focuses on the impact of the Mariner East pipelines. Download the handout that contains info on the pipelines, how to recycle properly and a list of pipeline safety legislation. 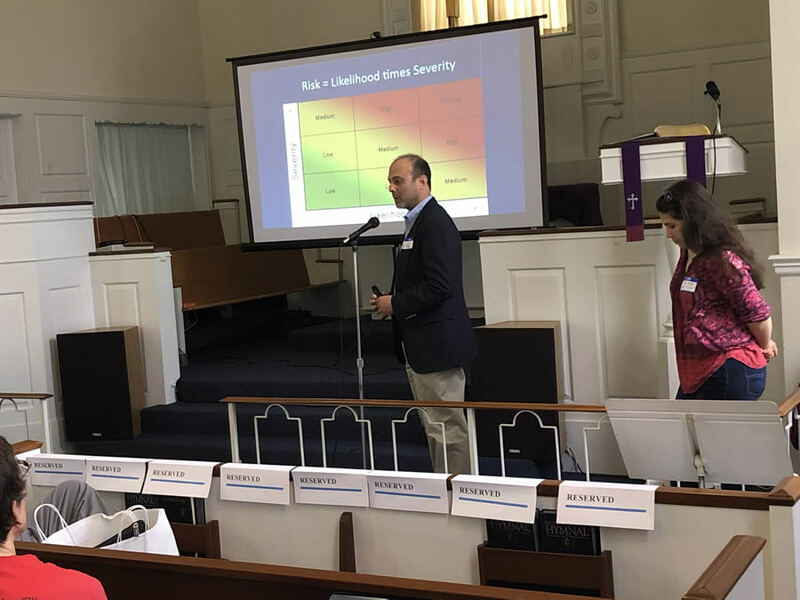 Eric Friedman (Del-Chesco United for Pipeline Safety) and Eve Miari (Clean Air Council) speaking at the April 14, 2019 H-CAN monthly event. Audience members listen to Elysia Mancini Duerr at the beginning of the event. Meg Clark addresses the audience and shares information about switching to 100% renewable energy on your PECO bill. H-CAN members demonstrate how small choices at home can help with lessening your carbon footprint.